My Dream First Drive in the MERCEDES CLK GTR! > Shmee150 | 히든-카를 찾으세요! 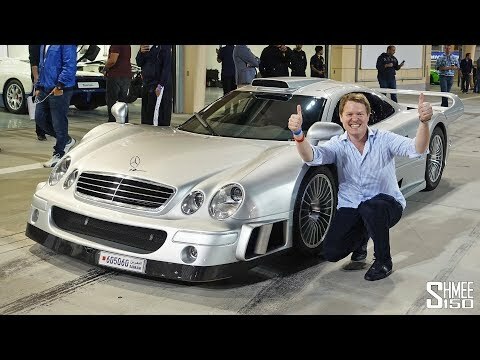 My Dream First Drive in the MERCEDES CLK GTR! Never in my life did I think I might have an opportunity to drive the absolute icon that is the Mercedes-Benz CLK GTR... but that dream has become reality! Thanks to @the_collection1, it wasn't even just "a drive" but a full blown convoy on the Bahrain F1 circuit with his McLaren F1, Porsche 911 GT1 and Maserati MC12 as well as a P1 and the epic Apollo IE. WOW! During a track evening hosted at the Bahrain International Circuit by Supercars Club Arabia, countless incredible cars attended including some particularly special members of the garage belonging to @the_collection1 - whose collection is one of, if not the very best in the entire world. Alongside it was also a presentation of the new Apollo IE and an opportunity to see and hear the car in action, including a parade lap featuring the icons present. With almost no notice ahead of time, @the_collection1 invited me to join in the convoy, and in this case to take the wheel of one of my dream cars - the Mercedes-Benz CLK GTR. I have to apologise for my giddiness and even in some cases incorrect statistics - this was a whirlwind moment that caught me completely unaware but was so magical at the same time. There are only 20 units of the CLK GTR Coupe, plus an additional 2 prototypes and 6 Roadsters; the road going version of the successful FIA GT1 racecar. With a 6.9l V12 with over 600hp and almost 800nm, it's an immense machine with a completely raw driving experience. With a value on the car of around £3-4m, combined with the others taking part we were looking at a £25m convoy for a few laps together in a scene unlikely to ever be repeated again. To be part of this alone was something unique and special; to do so at the wheel of the Mercedes CLK GTR even more so. I cannot thank @the_collection1 enough for this unbelievable experience. I must also thank both the team at Apollo for continuing to allow our eyes to be feasted upon the IE, and of course to those at Supercars Club Arabia for hosting a track evening that will never, ever be forgotten!